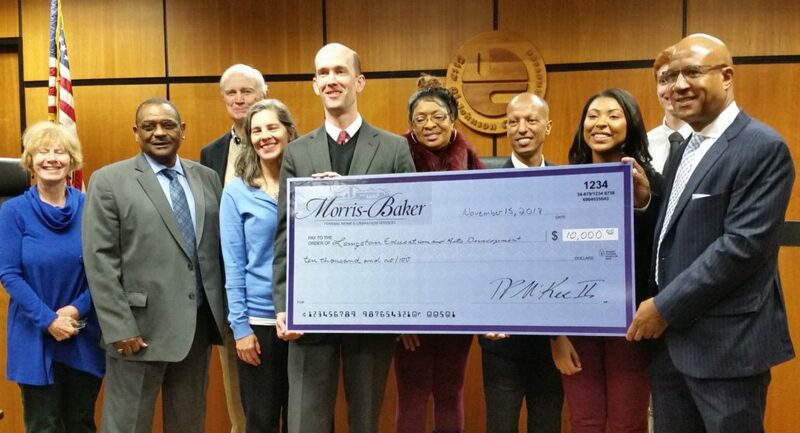 A $10,000 donation from the Morris-Baker Community Fund will support ongoing work to rehabilitate Langston High School. Preston McKee, owner of Morris-Baker Funeral Home, announced the gift during a press conference today held at the Johnson City Municipal Building. To learn more about LEAD (Langston Education and Arts Development), click here.